Cluny-La Sorbonne. 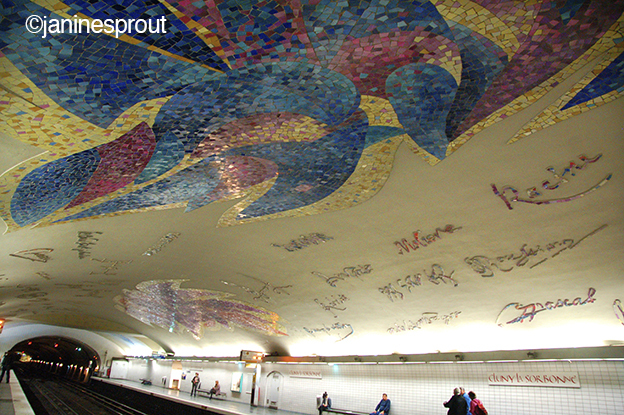 The metro station where you’ll find yourself dallying intrigued by the artful mosaics. Line 10 runs from Boulogne to Pont de St. Cloud and Gare d’Austerlitz. The station was opened in 1930 with the extension of line 10 from Odéon to Place d’Italie (now on line 7). It was a ghost station between 1939 and 1988 (deemed too close to other stations), then reopened to connect with the new St-Michel – Notre-Dame RER station and give access to the Boulevard Saint-Germain. A huge bird by stained-glass artist Jean Rene Bazaine dominates the ceiling. Surrounding the piece are sprawling signatures of Latin Quarter writers, poets, philosophers, kings and statesmen like Moliere, Robespierre and Marie Curie. Spend some time gazing at the ceiling. How many can you identify? Pop up and you’ll find yourself at the Cluny Museum which is partly constructed on the remains of Gallo-Roman baths dating from the 3rd century known as the Thermes de Cluny. A good 3-hour visit will satiate Medieval History fans. 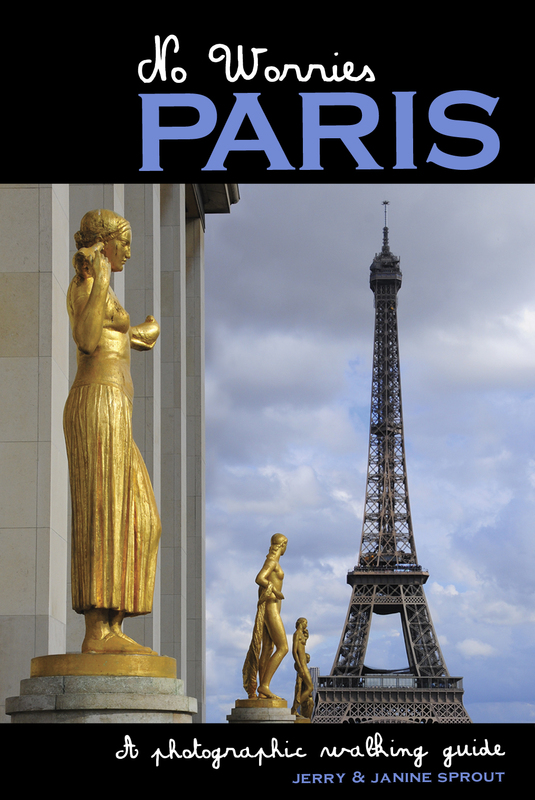 To see where this metro station is located in the grand scheme of things click here: RATP.